The touring attractions soon to hit the town of Glenrothes, in Fife, include Abba Mania, a man named Elio Pace singing the songs of Billy Joel, and something called Pop-up Bowie, whose current incarnation may or may not include a nod to the Thin White Duke’s plea for Scotland to "stay with us". For all that it might suggest seaside breaks and afternoons whiled away on the pier, the Norfolk town of Great Yarmouth does not feel like a happy place. I arrive on a sunny Tuesday morning, and talk to a succession of local people whose view of the world seems to be overshadowed by dark clouds: the abundance of pound shops, grim prospects for the tourist trade, the lack of chances for local young people. All that, and immigration. I meet 58-year-old Kathleen Gonsalves outside M&S, and fall into a conversation about her surname: when he was seven, her husband came to the UK from Trinidad and Tobago. But she and her daughter Jennifer, 35, have a swingeing take on more recent arrivals, and their place in the local economy. A trained chef, she tells me she once worked alongside a pot-washer in the kitchen of a nearby holiday camp: she was on £5.75 an hour, he was paid £5.25. “And he didn’t speak a word of English.” The upshot, she says, was such a chronic lack of mutual understanding that there was at least one serious accident. She and her mother do not strike me as essentially motivated by prejudice; rather people faced with an insecure, unpredictable world whose governing logic they can no longer abide, least of all politically. “I’m Labour through and through,” says Kathleen. But in last year’s local elections, they both voted Ukip – a habit that, with the first of Nigel Farage’s duels with Nick Clegg about to take place and his party’s profile at an all-time high – looks set to endure. “I’ll stick with them,” says Jennifer, with some defiance. If Ukip has a heartland, it is the great stretch of eastern England that encompasses Suffolk, Norfolk, Cambridgeshire and Lincolnshire, whose people often seem to feel as remote from London as anyone in the north, Wales or Scotland. In three of these counties, last year’s local elections saw the party win numbers of seats that ran into double figures; in Suffolk, it managed a creditable nine. And at next month’s local and European elections – which Farage thinks could mark the occasion when “the dam bursts upon the complacent political elite” – the party is expecting even more gains. If Ukip is to break into Westminster in 2015, this is where it may well happen. Certainly, if the party’s local share of the vote last year was replicated in 2015, it would win in Tory-held Great Yarmouth, which Ukip claims it has turned into a three-way marginal. Some of the explanation for all this lies in a low-grade regional economy built around market gardening and what remains of the holiday industry, and its reliance on cheap labour from overseas – which has resulted in inflows of people to places with no past experience of what the modern vernacular calls diversity, and a race to the bottom of the jobs market. But there are other sociological factors at work. The recently-published book Revolt on the Right, an incisive analysis of Ukip’s rise by two British academics, identifies a large cluster of promising seats for the party “along the east coast from Durham to Norfolk”, all of which are home to what the authors call “left behind” social groups, and an “ideal combination of an ageing population, a large, low-skilled and traditionally blue-collar workforce and a small population of graduates, ethnic minorities and middle-class professionals”. Lefties should take note, then: in this part of Britain – and others – Ukip fancies its chances as the party of the working class, poised to steal more votes from Labour than the Tories. In Great Yarmouth, its candidate for 2015 and campaigns director is 26-year-old Matthew Smith, who works in “freelance marketing”, serves as one of Ukip’s Norfolk councillors, and lives above a local music shop called Shake, Rattle and Roll – itself owned by a Ukip councillor, and surely the only place in the UK where a picture of Neil Hamilton is Blu-Tacked next to one of Eric Clapton. An apparent libertarian who departs from the party line on the legalisation of cannabis (”you could tax it”) and gay marriage (”I couldn’t care less if someone got married to three different people”), Smith also has exotic cultural appetites, by Ukip standards: on one of his upper arms, in among a riot of skulls and flowers, there is a tattooed approximation of the cover art for Joy Division’s first album, and he is such a fan of Morrissey that he has covertly included some of the ex-Smith’s lyrics in his speeches in the council chamber. To coin the kind of phrase that Farage would use, this particular Smith is full of piss and vinegar, and evidently excited by his party’s local prospects: it already has 14 seats on Norfolk county council – somewhat bizarrely, it has signed a support pact with an administration run by Labour and the Lib Dems – and he thinks there are more successes to come. But there may be a problem: the day before we meet, it is announced that he is facing charges of electoral malpractice, relating to the alleged forging of signatures and the faking of nomination forms. “I’m pissed off with the police, because it was in the press before the police even told me I had to appear in court,” he says; the allegations, he insists, are “just a load of rubbish, in my opinion”. Smith agrees that Great Yarmouth’s distance from the centre of power might have something to do with Ukip’s success. “It’s almost like we’re an island,” he says. “We’ve got that tiny little road coming in, and one little road going out the back end. The trains are absolutely woeful. So you are kind of cut off: there’s a sense of isolation … And that maybe helps Ukip, ‘cos we can … insulate ourselves. To judge from something Farage recently said, and for which he was loudly criticised – about sitting on a train moving away from central London, failing to hear people speaking English and feeling “slightly awkward” – Ukip has also decided to start banging on about language. “Space, jobs and language – they’re the three big things,” says Smith. That book also describes this area of England as being “far away from the wide world” – and as I drive through Norfolk and into Lincolnshire, I can see what Swift meant. The sky is so huge as to feel oppressive; villages pop up and disappear. There are no motorways and the mobile signal regularly goes dead. Not for the first time, a thought pops into my head: though a huge part of the national conversation remains devoted to the north/south divide, there is also a curious political gap between England’s east and west, for which the rise of Ukip is a potent signifier. After three hours, I arrive in Skegness, on the coastal edge of Lincolnshire. In the 2013 local elections, this county saw Ukip’s best single result, when 16 new Ukip county councillors were elected, and the party became the official opposition; among the parliamentary seats that are reckoned to be vulnerable to a Ukip surge are Labour-held Great Grimsby, and Boston and Skegness, currently represented by the Tories. There is usually a “but” in Ukip stories, and round here, it’s a big one. Within four months of its electoral success in Lincolnshire, the leader of its group on the council – who was also a prospective Ukip candidate for parliament – had been suspended amid claims of racist Facebook posts. The result was a convulsive falling-out, which split the Ukip group in two. Since then, rum allegations have swirled around another councillor, who says she also fancies a run at parliament. To paraphrase Swift, unquiet and sleep-defeating intrigue abounds, and what will happen next is anyone’s guess. On a grim and blustery morning in the town some people know as “Skeg”, conversations with locals suggest a town much more weary and fatalistic than Great Yarmouth, although people have a similar litany of complaints: awful local roads, shut-down shops, an economy that effectively dies for half the year. Immigration does not seem to be as much of an issue as elsewhere in the east, but plenty of people mention an example of their concerns about it: Boston, 22 miles away, is a byword for migration from eastern Europe characterised by the Daily Mail as “Lincolngrad”. Pain – whose former colleagues presumably think his surname is all too apt – then spends an hour trying to talk me through his estrangement from the party, but it is all but impossible to follow. Only one thing seems clear: the story begins with one of the many Facebook posts that were discovered and attributed to Ukip activists in the early summer of 2013, just as their profile reached new heights, and they were suddenly subject to forensic scrutiny. This one was found by the Sunday Mirror, and said to be on Pain’s Facebook page. Among other things, it said that “illegal immigrants” were ” sandal-wearing, bomb-making, camel-riding, goat-f****** ragheads”. “It was never on my Facebook page,” he says. “I spent a whole week going through it, and I couldn’t find it.” He sought the advice of a “security bloke” who “does work for the government”, and claims that this and a similar post were the apparent products of some kind of dirty tricks operation. At this point, Pain was the leader of the Ukip group on Lincolnshire council, the party’s candidate for Boston Skegness, and its regional chairman in the East Midlands. By September 2013, an investigation by the police into Pain’s alleged Facebook posts was dropped, but by then his relations with people at the top of Ukip were deteriorating fast and, the following month, he was expelled from the party – because, said Ukip, he had not only “misled” their national executive committee, but “recorded a conversation with another party member and circulated that recording without the other member’s consent and passed “confidential information to a litigant against the party” (one Mike Nattrass, a one-time Ukip MEP who was deselected in 2013 after failing a “candidate test”). “It was about taking me out of Ukip,” Pain insists. “They saw me as a threat to the leadership.” Ukip, he reckons, is run by Farage as “a dictatorship”. “It’s where it is today because of Nigel Farage, but I think it’s no further forward than it is today because of Nigel Farage. Look at Ukip’s byelection results: if you can’t win against Labour or the Conservatives, you’re not going to get a seat in parliament.” Contrary to the idea that Ukip has recently soared, then, he thinks the party is actually underperforming. “All the people in Nigel’s circle are yes-people, who are beholden to him for money,” he says. Pain says he is making legal moves against his old party, and claims he will stand in the Westminster constituency of Boston and Skegness in 2015, under the banner of a new party whose name he is yet to announce. Given that five other ex-Ukip councillors now sit with him in a splinter group and the party is no longer the official opposition, the whole affair has clearly weakened Ukip, and may yet affect its chances in 2015. And then there is the case of Victoria Ayling, 54, another Lincolnshire Ukip councillor who has recently found herself in trouble. She defected to the party in 2013 having stood as a parliamentary candidate for the Tories in 2010 (in Great Grimsby, where she finished a mere 614 votes behind the sitting Labour MP – “by sheer force of personality”, she tells me) and now fancies her chances as a Ukip MP, which has sparked two allegations made by her ex-husband, among other people. When told she had made “two or three stumbles”, her patience then seemed to snap. “I just want to send the lot back, but I can’t say that,” she said, a quote which eventually came back to haunt her. I meet Ayling – a “trusted ally” of Farage, according to some reports – at her sumptuous country house, a stone’s throw from Boston. A large union jack flutters above the roof; inside her drawing room, on top of the piano, there’s a photo of her and Farage. She is personable enough, though as soon as my voice recorder is switched on, she starts talking to me as if I were a public meeting. 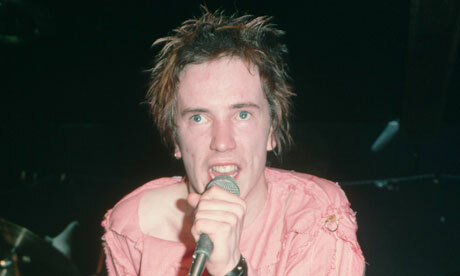 Throughout, she maintains an intense stare, and seems slightly angry: what with all this, her nasal, estuarine vowels, and a sense of cast-iron certainty (the EU, she says at one point, “dictates to us how we should think, feel and act”), she puts me in mind of the young John Lydon. In December last year, more allegations were made – by her mother, among other people. This time, it was said that she had once been a member of the fascist National Front. In the face of claims that she had attended NF meetings while doing her A-levels, Ukip insisted she had only ever done so when she was researching extremist parties for an undergraduate thesis – which, she said, was part of the law degree she took at Southampton University. Her mother says she went to NF meetings “because she wanted to”. For some reason, in the 2008 video – made when the NF had long been superseded as the face of British fascism by the BNP – there are two mentions of the NF: one by her former husband in an exchange about whether or not to “soften” her script, and another when Ayling uses the line “Multiculturalism doesn’t work – Britishness does”, and then wonders whether the word Britishness “is waving the National Front flag a bit”. Back in Great Yarmouth, I walk up and down King Street, which is split between retail chains and a long run of convenience stores that cater to new arrivals. I try talking to a woman working at the Portuguese Ce Ki Sabe delicatessen, but she says she doesn’t speak English; the same goes for a Lithuanian woman smoking in the doorway of a nearby cafe. On the window of a Polish shop, I notice, there is a sticker advertising the far-right British movement; directly across the street is an army surplus shop run by a Ukip activist, with a stack of recruitment leaflets among the parkas and boots. At the other end of the town centre, Andrea Martins, 34, and Tiaso Monteiro, 29 – both Portuguese, and residents since 2008 – are taking a break from their jobs at a mobile phone shop, and smoking bootleg Russian cigarettes. It starts to drizzle, and they put out their cigarettes, offering one last indication that even in Ukip-land, simple human understanding can at least occasionally find a way. “We’re actually really well integrated,” says Martins. Dry bars – is England sobering up? Salway is 40, and the founder of a new “gastrobar” called Redemption, located at the foot of the Trellick Tower on Golborne Road, west London. The decor is stripped-down and chic: bare brick walls, neon signs and furniture that a neighbouring social enterprise has made out of other people’s junk. Sight unseen, you’d think you were in a reasonably typical urban hostelry. But that’s not quite true. The food here is “pretty much” vegan, but what really sets the place apart is a completely alcohol-free drinks menu. The basic idea, Salway tells me, is to offer people a chance to “spoil yourself without spoiling yourself”, and provide a sanctuary of sober calm in the midst of a booze-dominated culture. As she sees it, moreover, her business is on the crest of a wave – as evidenced by a handful of similar projects in other British towns and cities, and statistics that suggest our national dependence on the bottle may at last be starting to wane, not least among people under 30. The idea for Redemption came to her when she was holidaying in a yogic retreat in Goa (”very cliched,” she smirks). No booze was available – which, she was surprised to find, gave everyone she was with a pronounced feeling of liberation. “It was only by alcohol not being present at all that we were freed from it,” she says. And so, via an initial “residency” at a venue in Hackney followed by the opening of permanent premises here in September 2013, a new business came into being. With backing from two individual investors and over £50,000 of her own money already staked, Salway says she wants to open up two more branches of Redemption in London. In time, she would like to expand abroad. For all the collective angst about Britain’s drinking habits, our consumption of booze does seem to be changing. According to the Office for National Statistics, the share of people who report having a drink in the previous seven days has been falling for at least eight years: 72% of men and 57% of women did so in 2005, but by 2013, the respective figures had fallen to 64% and 52%, and the amount of alcohol consumed by people on their “heaviest” day had also come down. The ONS advises a certain degree of caution when it comes to these numbers: not surprisingly, there tend to be discrepancies between how much people say they drink, and the quantities they actually put away. It should also be noted that medical problems caused by alcohol are at an all-time high, and all those headlines about rising middle-aged dependency do not come out of nowhere. The 2007-8 crash and subsequent downturn seem to be a factor in reduced consumption, which might undermine claims that Britain has started to see the error of its bacchanalian ways: could it be that we are as thirsty and dependent as ever, but just a bit more strapped for cash? All this has begun to soak into the culture. Not that long ago, foregoing booze during January was a pursuit quietly embraced by a modest number of people: this year, thanks chiefly to the Dry January challenge run by Alcohol Concern, it achieved a new peak of ubiquity (Redemption, Salway says, was suddenly very busy, and numbers remained healthy in February). There is now an online social network called Soberistas, aimed at “people trying to resolve their problematic drinking patterns”. Alcohol charities in such hard-drinking cities as Liverpool and Nottingham now run dry bars, and there are plans to open similar places in Newcastle and Brighton: the latter project is the brainchild of Kevin Kennedy, who once played Curly Watts in Coronation Street, and has experienced life-changing problems with drink. In Norwich, a dry bar called The Drub has started, sampling demand by doing a monthly pop-up. In Chorley, Lancashire, meanwhile, a new business named the Temperance Bar offers a kitsch take on the outlets that spread across that part of England when teetotalism became embedded in the culture of the 19th century; and in nearby Rawtenstall, there remains Britain’s only surviving original temperance outlet, whose owners still manufacture booze-free drinks, and make much of a history that dates back around 120 years. A few days after my evening in west London, my time at Nottingham’s Sobar begins with a bottle of “pre-mixed Berry Bonanza”. Located in the city centre, opposite a vast branch of the pub chain Walkabout, this place is much bigger than Redemption, but offers a similar sense of something new: it’s more sumptuous than a cafe, definitely not a bar, and though it serves food, it’s much less stuffy than most restaurants. The bacchanalia of the notorious Lace Market district, a five-minute walk away, feels like it might be happening on another planet: here, there’s a sense of time suddenly slowing down, and conversation taking precedence over everything else. Opened in January, Sobar is an offshoot of the Nottingham-based addiction charity Double Impact, which assists people in recovery from both alcohol and illegal drugs: £340,000 of the bar’s initial finances have come from the Big Lottery Fund, and it makes a point of employing and training people whose lives have been scarred by addiction. Its daily comings-and-goings, though, transcend all that: Sobar’s founders reckon that around 85% of its clientele are people with no history of such problems, who have simply been drawn by what Sobar – taglined “0% ABV”, which stands for Alternative Bar Venue – has to offer. Like Salway, the people here have taken advice from the Brink, a dry bar in Liverpool opened by the charity Action on Addiction in 2011. But the initial idea for Sobar came from people whom Double Impact were helping: they said they felt the need for a place that didn’t feel treatment-focused, and wasn’t housed in anything that looked like it specialised in rehab. Initial discussions suggested a “serenity cafe”, which soon developed into something much more ambitious, not least in terms of its city centre location: a former branch of the Nottingham Building Society – the managers of which have leased it to its new tenants for a hugely reduced rent. Much of Sobar’s night-time trade is driven by events: live music, poetry readings – and, says Miller, sets from DJs. Which prompts an obvious question: will British people really dance when they’re sober? Sobar’s general manager, 36-year-old Alex Gilmore, tells me her clientele is wildly varied, but when I mention all those stats suggesting that increasing numbers of young people are spurning the bottle, she nods in recognition. She explains that all those recent stories about the reckless online drinking game Neknominate brought in people from the city’s two universities, keen to find out about something different from the soused craziness that regularly surges through campuses. All of them talk about their experiences with intoxicants, and what they see as the singular effects of alcohol. “I spent 17 years as a functioning heroin addict,” says 47-year-old Gary Hamilton. “I held down a job, had a wife and child. But two years of drinking flattened me.” Compared to other drugs, they tell me, alcohol’s effects on mental health should not be underestimated; it has a habit of sparking anxiety and depression that in turn lead on to even more drinking. On the city streets, distant shouts and clattering heels herald the start of another night on the town: shop windows in a nearby student area advertise home-delivery booze until 5am, and places offering knock-down prices do their usual roaring trade. Inside here, the background music drifts around the room, people come in and out, and a rather different world carries on, regardless. By the end of last Tuesday, Bob Crow had turned into Princess Diana. To question his life and legacy was to come dangerously close to moral indecency – and anyway, who could argue that he was in fact a proud and principled example to us all? “Bob Crow was a fighter and a force,” said Nick Clegg. “Didn’t always agree with him but he was a man of principle and said what he thought,” reckoned Labour’s Chuka Umunna, confirming the idea that politicians of his standing do actually think in cliches. “Bob Crow was a doughty and committed advocate for his members,” offered the director general of the CBI, now a proud brother in struggle. Boris Johnson said that Crow was “slightly misunderstood by the wider public, if I might say so“, to which the obvious answer was: no, you might not. For London’s mayor had not only long refused to meet the RMT leader, but only a month before rather encouraged the public to misunderstand him by making hay with Crow’s supposedly hypocritical cruise trip and accusing him of “holding a gun” to the head of the capital? Then came the death of Tony Benn, and true absurdity. First, a great line of modern Labour politicians hammering at their smartphones, 90% of whom embody – whether rightly or wrongly – a kind of progressive politics that has been washed of all traces of what Benn represented. “Tony Benn was a powerful, fearless, relentless advocate for social justice and people’s rights,” raved Gordon Brown, who reckoned he would “continue to have a profound influence on generations to come” (even though Benn once said Brown was “unfit to run a corner shop”). A few places back in the queue was Stephen Twigg, whose mercifully brief spell as shadow education secretary perhaps underlined the drawbacks of politics completely free of ideology. “Tony Benn was a true political giant – hearing him speak at a public meeting when I was 15 was what made me join the Labour party,” he said. Really? “The final corruption of radical politics is that you become a sort of well-loved eccentric, seen at parties,” Benn wrote in his diaries. Posthumously, his worst fears came true – as evidenced by additional tweeted tributes from such notables as Stephen Fry, Gary Lineker, Simon Pegg, and Arlene Phillips, who had lately seen him “walking around Belsize Park”. Such is one of the more surreal aspects of modern discourse, which lends itself to an amusing parlour game. Take a random celeb and an equally random issue or news event, and you’re off: who fancies Ken Hom’s views on Scottish independence, or what Mick Hucknall makes of the fate of that Malaysian airliner? Is the key difficulty here the medium or the message? In other words – quite apart from the fact that social media self-evidently encourages the madness of crowds – given that Twitter now sits at the heart of the modern death ritual, is the fact that the complexities of lives have to be squeezed into 140 characters the source of the problem? Or does the fact that so many people have embraced that means of communication reflect what little time human beings have for nuance and complexity anyway? Whatever, if we have always had a tendency to respond to others’ passing with cant and silliness – don’t speak ill of the dead, and all that – that variety of behaviour is now going nuclear. Can you imagine what would have happened if Twitter was around when John Lennon was shot? What great blizzards of nonsense will eventually mark the deaths of Bob Dylan, Bill Clinton, John Major or David Bowie? And might it be the mark of true greatness to breathe your last and somehow escape all this, remaining as controversial in death as in life? That certainly applied to Margaret Thatcher. It will also surely be true of Arthur Scargill. And, come to think of it, Tony Blair. Benn, it seems to me, was thoroughly decent, personable and sometimes inspirational, a man whose essential values were beyond reproach. Beyond that, ambivalence takes hold. He and his followers played much the biggest role in ensuring that the Labour party spent much of the Thatcher years in a mire of unelectability. He was no less capable than other politicians of shameless about-turns, as anyone who followed his volte-face on nuclear power would know. Circa 1985, in holding fast to the old maxim “no enemies on the left” and supporting the presence of Trotskyist wreckers in the Labour party, he rather did my head in – because I was fighting a gaggle of them who had moved into my constituency, hell-bent on taking over an essentially meaningless little branch of the Labour Party Young Socialists by being as unpleasant to other people as possible. I could say more, but that’s the basis of what flipped through my brain last Friday: 857 characters, which kind of makes my point. On a different subject, it may be worth pointing out that though, as Ken Livingstone observed, Bob Crow did indeed ensure that tube drivers are the only well-paid working-class people in London, he paid far too little attention to modern trade unionism’s most pressing task: the need to defy a stereotype of stubborn, intransigent white men, and present a slightly more sympathetic face to the world. Am I allowed to say that yet? Given that the most rousing lines in the Internationale include “Away with all your superstitions”, I would hope so. You are currently browsing the John Harris blog archives for March, 2014.